Elegant fashion collection genuine Swarovski Lite Grey pearl dangling from glittering rhinestones accented surgical post earrings. Wedding gift a divine pair of Swarovski Lite Grey Pearl & shimmering rhinestones will be the perfect finish to any formal & refined their modern styling. 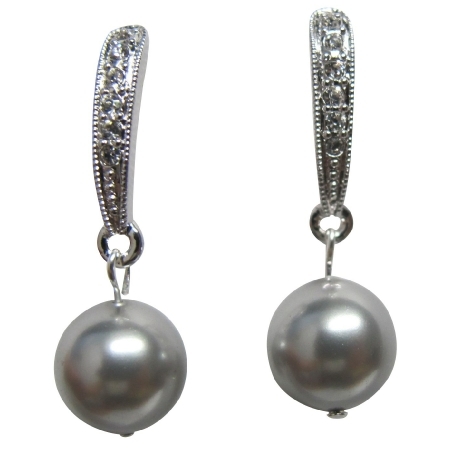 Material Used : 10mm Swarovski Lite Grey Pearl drop from rhinestones surgical post earrings. Earrings Length : 1 1/4 inches long.